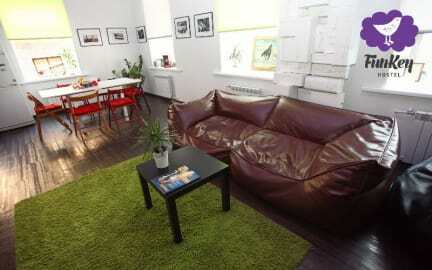 FunKey Hostel is very beautiful, clean and comfortable hostel in the center of Novosibirsk city. There are big rooms, clean showers, modern and spacious hall. Each of rooms is individually decorated, so that you can choose your favorite one. Our friendly administrators will be happy to help you and advice how to spend a good time in our wonderful city. There are also interesting events in the hostel. 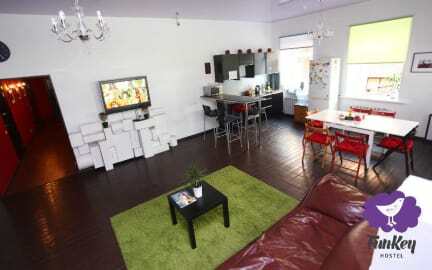 The hostel's area is 260 squares, we can accept 30 guests. Our kitchen is very comfortable too and equipped by all of necessary household appliances. Everyday you can enjoy free cookies and tea. Payment upon arrival by cash and by cards. Breakfast is included upon request. All children under 5 years stay free of charge without providing extra beds. Very nice and helpful reception. But the bed sheets and mattress are the same bad quality as other hostel in Russia. Price is cheap, and have big public area can hang out.